This "documentary" follows the American propaganda to the letter. About how the Americans were apparently wringing their hands in anxiety over whether to drop the bomb or not, how they implored Japan to surrender, how the bomb would be an alternative to an invasion of Japan which would spare up to a million lives. Not a mention about how Japan actually were discussing surrender, which American cryptographers had picked up. Not a mention of Ellis Zacharias who managed to muddle the American message to the point that neither the Japanese nor the American media knew which was the official US line. The tired old propaganda about how the bomb saved lives in the end, is of course nonsense. First of all, the calculated number of casualties resulting from an invasion of Japan magically rose from an estimated 31 000 by Marshall on 18 June 1945, to 500 000 battle casualties after the bomb was dropped. Nowadays people even like to use figures in the millions. A more blatant attempt to try and justify the mass murder of a hundred thousand with a single bomb could hardly be conjured up. Furthermore, the bomb and an invasion were not mutually exclusive. Truman never presented the bomb as an alternative to invasion until after the war. Carefully toeing the American propaganda line, the "documentary" makes no mention of how the final discussions in the Japanese leadership went before finally surrendering. In short, they scarcely mentioned the destruction of Hiroshima and Nagasaki. The main concern of the Japanese leadership was the invasion of Manchuria by the Soviet Union and the collapse of the Kwantung army. But God forbid that the Soviet Union should receive any credit in World War 2. And it's quite unsettling to listen to these old men casually describing and justifying their mass murder. 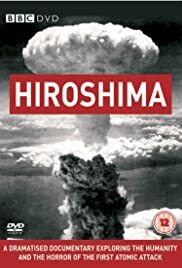 If you really want to learn anything about the process of the development of the nuclear program, the decision to drop the bombs, and the aftermath, give this garbage a pass and read "Hiroshima Nagasaki" by Paul Ham instead. If you're interested in eyewitness accounts of the immediate aftermath, read "Hiroshima" by John Hersey.